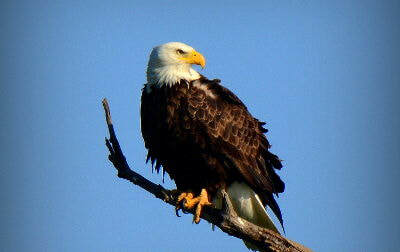 It has been a decade since the Bald Eagle was removed from the Endangered Species list. Historic levels of eagles reached 100,000 before plummeting to just 417 pairs in 1963. 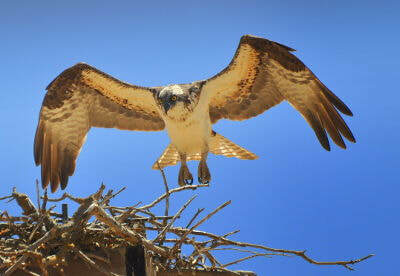 Ospreys are large hawks with slender bodies, long narrow wings and long legs. 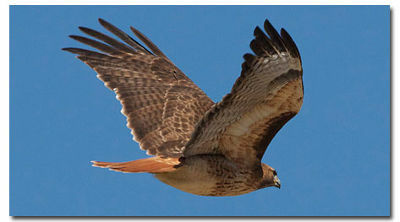 Their posture when flying helps identify them – the kink in the wings makes an M-shape when seen from below. 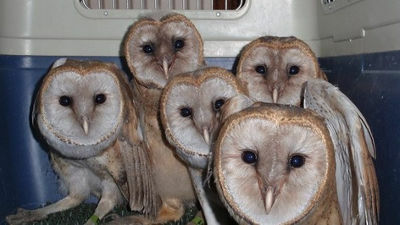 These owls are hauntingly beautiful; it is too bad they are nocturnal, active at night, so we rarely see them. This is the most common hawk in North America and will be found in every type of open habitat. As one of the most frequently observed raptors in our region, you will find them soaring above open fields or perched atop telephone poles looking for their next meal. 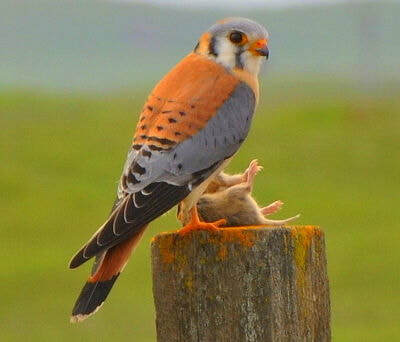 This is our smallest falcon and the most familiar and widespread falcon in North America. They are found in the United States year round. 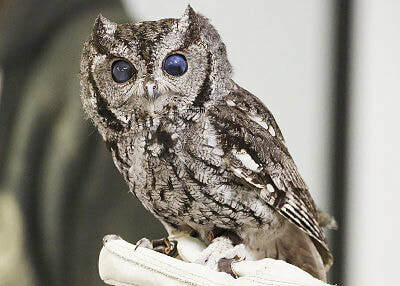 The Western Screech-Owl is very common, rather small and very inconspicuous. They are only 7 to 10 inches in total length with a squat body. They have yellow eyes, gray or brown feathers that are streaky on the lower body and have a short tail. Like the Great Horned Owl, they have ear tufts (they are not really ears) that fool some into thinking they are baby Great Horned Owls.